As U.S. forces and allies continue to win the battle against ISIS and other terrorists in the Middle East, a new reality has hit home: terrorists will not remain contained, and the war on terror could continue in our own backyard. There have been several deadly or alarming terror attacks in the world this year, and they generally have one thing in common: ISIS, on its quest to continue the “trend” of exporting terrorism. These terror attacks have commonalities that should not be overlooked. ISIS has outright taken credit for some of them. In other incidents, the act of terror was similar – terrorists using a truck to plow down innocent people in the streets, something ISIS has instructed its followers to do. In other cases, the suspected terrorist shouted “Allahu Akbar” before or during the act. Local and federal officials in New York City continue to piece together the most recent attack – the deadliest in New York City since 9/11. A suspected terrorist on Tuesday killed eight people and injured at least 12 others in New York City when he plowed his truck about 20 city blocks along the west side of Manhattan, through a very active bike and pedestrian thoroughfare, before he eventually crashed the rented white truck into a school bus on Chambers Street. The suspect is a Uzbekistan immigrant who came to the U.S. in 2010. He has a green card and a license from Tampa, and 29-year-old Sayfullo Habibullaevic Saipov reportedly shouted “Allahu Akbar” when he got out of the truck on the scene Tuesday. He also apparently left a note claiming he carried out this attack in the name of ISIS. The NYPD responded to the scene in downtown Manhattan, and an officer shot Saipov after he got out of the truck wielding what appeared to be a BB gun and paintball gun. He was recovering at Bellevue Hospital. An investigation into this incident has begun. The FBI Joint Terror Task Force is involved, and New York City Mayor Bill de Blasio has said this is an “intentional terrorist act.” The NYPD said it is treating the incident as suspected terror. This attack hit home and affects the lives of many people. It took place on Halloween, when the city was scheduled to have a big parade to celebrate (which still took place), and just days before the New York City Marathon, when thousands of people flock to the five boroughs to participate in one of the most highly anticipated events of the year. It is not the first attack that ISIS has its roots in, and it will likely not be the last. On Oct. 1, a gunman killed 58 people and injured hundreds of other people in Las Vegas in what is being called the deadliest mass shooting in modern U.S. history. The man, 64-year-old Stephen Paddock, rained down fire on the Route 91 Harvest Festival from the 32nd floor of the Mandalay Bay Resort and Casino. Paddock was found dead in his room, along with several weapons that he had rigged to be similar to automatic weapons. While authorities have not yet established a motive in the case, ISIS took credit for the massacre. The group also said Paddock had converted to Islam six months before the shooting. On Aug. 17, 13 people – including one American – were killed during a deadly attack in Barcelona, Spain, and more than 100 other people were injured after a van plowed down pedestrians in the Las Ramblas tourist district. “The perpetrators of the Barcelona attack are soldiers of the Islamic State and carried out the operation in response to calls for targeting coalition states [‘referring to a United States-led coalition against the Sunni militant group’],” according to the group’s Amaq propaganda news agency. In June, a police officer was stabbed at Bishop International Airport in Michigan. The act was being investigated by the FBI as an act of terrorism. The attacker was identified as Amor Ftouhi, a 50-year-old Canadian citizen. The attacker allegedly yelled “Allahu akbar” before stabbing Lieutenant Jeff Neville, who was seen by witnesses bleeding from the neck. Neville was in stable condition after the attack. 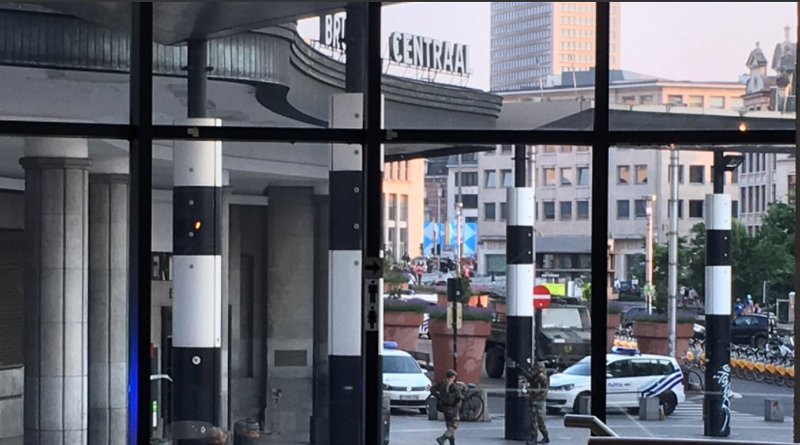 Also in June, there were reports of a blast, and a suspect who was allegedly wearing an “explosive belt” was shot at the Brussels Central metro station. The metro station and La Grande Place square were evacuated after reports of what sounded to be an explosion. A suspect shouted out “Allahu Akbar” (which means “God is Greatest”) before causing the blast, a witness said, AFP news agency reported. On June 3, a multi-stage terror attack in London was responsible for killing eight people and injuring 48 others. Three jihadi terrorists, who were eventually killed by police after a manhunt, used a white van to mow people down on the London Bridge, then got out and started stabbing people with 10- to 12-inch blades on the bridge and in a nearby neighborhood. Amaq News Agency said the attackers were ISIS fighters. During the attack, the men were reportedly shouting “This is for Allah” before they were killed by police. 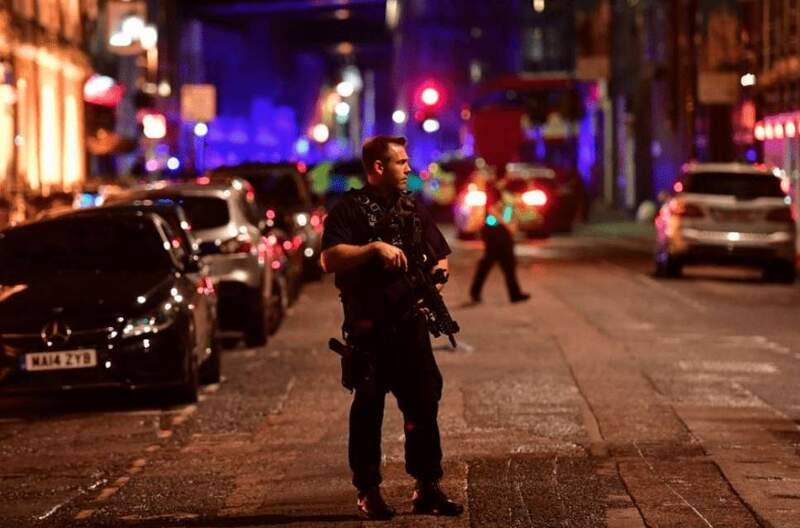 On May 22, a suicide bomber inside the Manchester Arena killed 22 adults and children, and injured 250 others, following an Ariana Grande concert. This was the deadliest bombing in Great Britain in more than a decade. Salman Abedi, a 22-year-old Muslim, detonated a bomb that killed 22 adults and children, and more than 250 people were injured. Abedi also died in the act. The attack was claimed by the Islamic State. Police arrested both the brother and the father of the 22-year-old suspected suicide bomber, and it was suspected they were part of a wider terrorist network. In March, a drive in a car mowed down pedestrians on Westminster Bridge, in the area surrounding the British Parliament, before getting out of the car with a knife and stabbing people. Six peopled died and at least 50 others were injured. 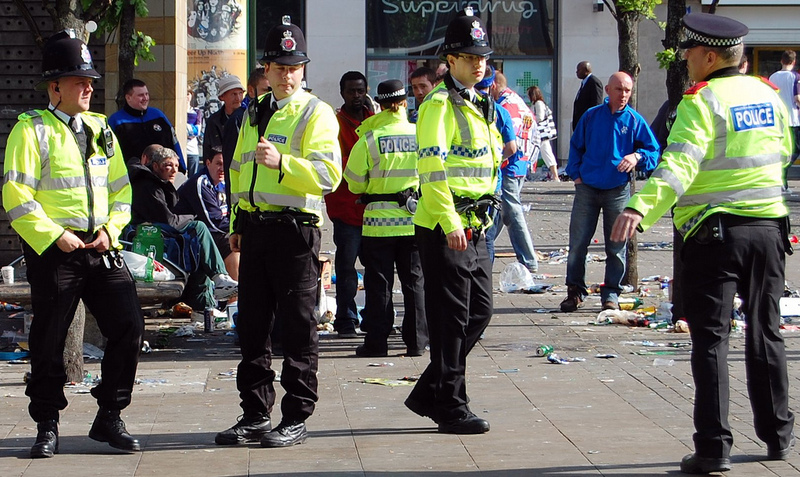 London Police treated the incident as an act of terror.